For the fibre-deep cleaning of synthetic fibre carpeting and upholstery. 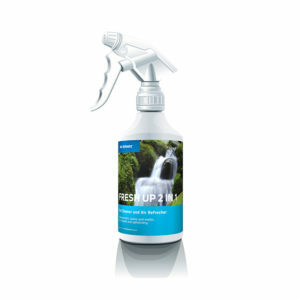 The new fresh-up formula guarantees fresh air within rooms and eliminates unpleasant smells such as nicotine. With integrated stain remover and foam blocker to protect your carpet from weight marks and staining from furniture. For wall-to-wall, colour fast and water resistant carpets and upholstery. First, vacuum clean the carpet. 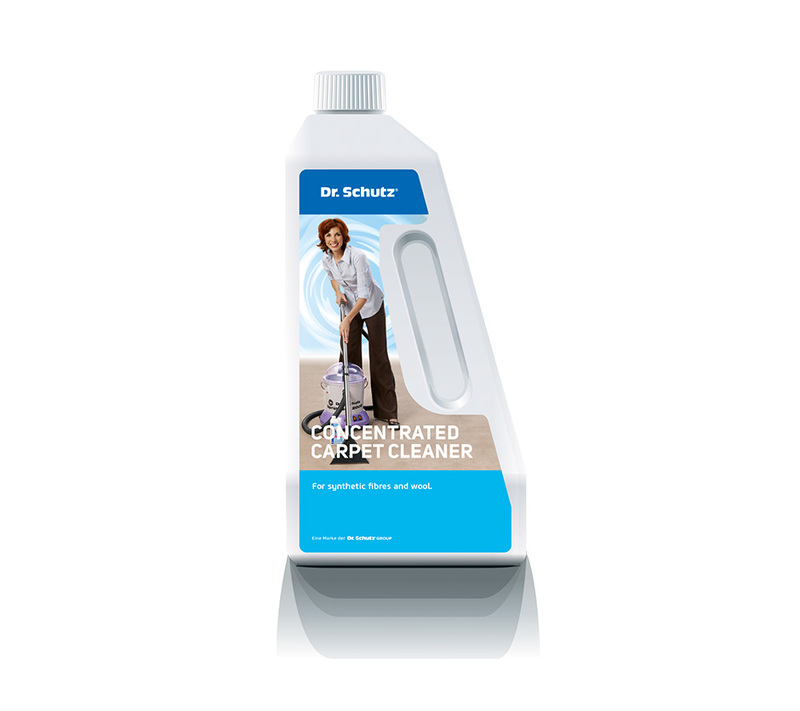 Dilute Concentrated Carpet Cleaner in the mixture of 1:70 (approx. 75 ml to 5 litres water). Pour cleaning solution into the fresh water tank of a spray extraction machine (e.g. SprayBoy 2000) and clean the carpet according to the advice specified on the cleaning appliance. Dilute Concentrated Carpet Cleaner in the mixture of 1:50 (approx. 100 ml to 5 litres water). Concentrated Carpet Cleaner is best used with a spray extraction machine such as Dr. Schutz SprayBoy 2000. After cleaning heavily soiled carpets, it is recommended to apply Bayguard – Carpet Protection Spray to optimally protect and prolong your carpet life. Beware of soaking when treating carpeting and upholstery which are sensitive to moisture. Carpeting with pile is generally not suitable for the application of mechanical treatments. Before use, test the surface to be treated in an inconspicuous spot for colour-fastness and material suitability. Check to ensure that the carpet has been laid down with water-resistant adhesive. Do not spray on sensitive surfaces (e.g., wood, metal, varnished surfaces) with the cleaning solution.